I am on an older laptop and no matter which browser I use my webpages won't load the full content. I have tried updating everything and it still will not load properly. Mainly images and boxes where information needs to be entered will not show but I can guess and still type into the boxes. Click icons will not be their but I can mouse over and click the blank spot and it will work. Not sure if their is an issue with java or what. 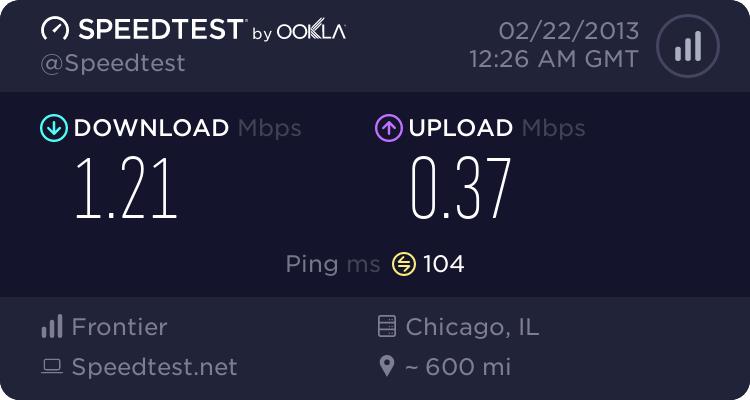 After this,tell me what your internet speed is: http://www.speedtest.net/ This may be interfering with the loading of web pages. If these solutions do not work, I have other solutions. I'm 90% sure it's your Java. Try re-installed it or you might have disabled it, if not just re-installed it. If it doesn't work, I have another trick. I uninstalled it and I am 100% fine. No one uses Java really anymore... it is an old standard that has been overridden by more modern coding options. MirekFe, jobeard and learninmypc like this. That's weird, when I disabled it, some contents not fully displayed. Your internet is pretty slow, you may have to give it some time to load completely. BTW, issue solved, his internet is just way to slow. If you need to improve your internet speed, PM me. MirekFe and jobeard like this. And no, he doesnt need to improve his speed. Millions of people have that speed and do just fine. I agree, I started my internet life on a free dialup ISP, but very seldom experienced slow page loading. Even was able to use & enjoy Google Earth. MirekFe and Jad Chaar like this. Lol, his internet speed is 2X faster then my Sprint 3G. And, I can load up pages just fine with my crappy cell service. MirekFe, Jad Chaar and learninmypc like this. What you should try to do now is clear your browser's cache. If it doesn't resolve the issue. Here's another possibility is that somehow those two web addresses have been added to the Window's HOSTS file in a manner which stops them from being found. The HOSTS file can be used for this purpose when you wish to prevent access to malicious or unsavoury websites, but some malware can also put perfectly legitimate websites in there just to frustrate you. The Windows Update website is a common victim of this. If you see in there the two problem web addresses with the numbers 127.0.0.1 at the beginning of each line, delete those two lines and save the file. It should fix the problem. Let me know if these techniques can't fix the problem. You said disable Java... And I already recommended clearing the cache. Maybe we should just wait till the OP catches up with this thread. compfixing and UNKNOWN9122 like this. It means the CSS controls did not get loaded. OOPS - - sorry, just assumed you were on windows. That's not possible on iOS - mobile devices - UNLESS you are connected to your home wifi. For all iOS devices connecting to your wifi router, flush the cache on the system (windows or mac) to which your router is attached. @Logan MacDonald :: classic symptom that the CSS file(s) are not loading.